The ADA mandates that this dog and owner have full access to all public places. It is the LAW. 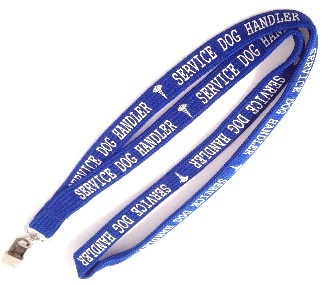 FULL ACCESS REQUIRED"
These Service Dog ID Badges are NOT cheap laminated cards, they are made of durable PVC plastic that is as thick as your credit card.